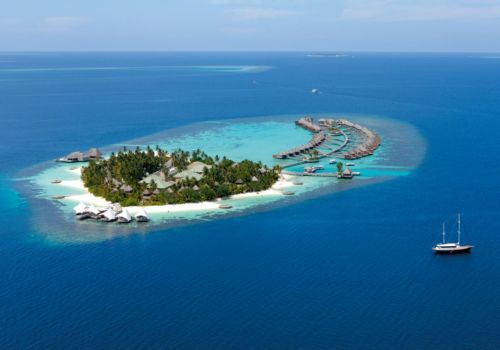 The W Retreat and Spa is a private island and luxury playground in a wonderland of white sand beaches, turquoise lagoons and breathtaking reefs. Go diving, enjoy one of the resorts six bars and restaurants, swim up to the pool bar or pamper yourself at the island’s spa. 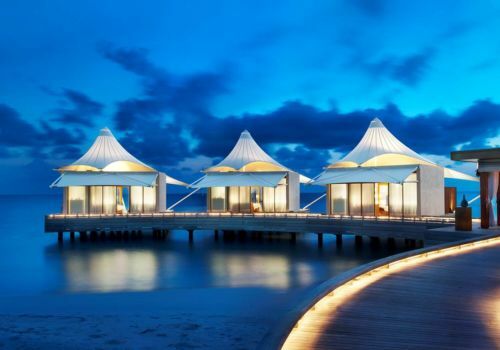 Dream of that overwater villa, luxury facilities and a vast expanse of ocean on your doorstep – the ideal place for a romantic getaway or your special honeymoon. Seventy-eight individual retreats are available. 28 land based Beach Oasis including three twin Beach Oasis; 25 spacious, overwater Ocean Oasis and 21 Ocean Oasis Lagoon View retreats; 3 Seascape Escapes, junior suites and one Extreme-WOW villa, the 2-bedroom Ocean Haven which comes complete with its own private swimming pool. showers and day beds for lolling in the lap of luxury. Smooth, stylish interior design and all the modern gadgetry one could possibly need are an integral part of the appeal. 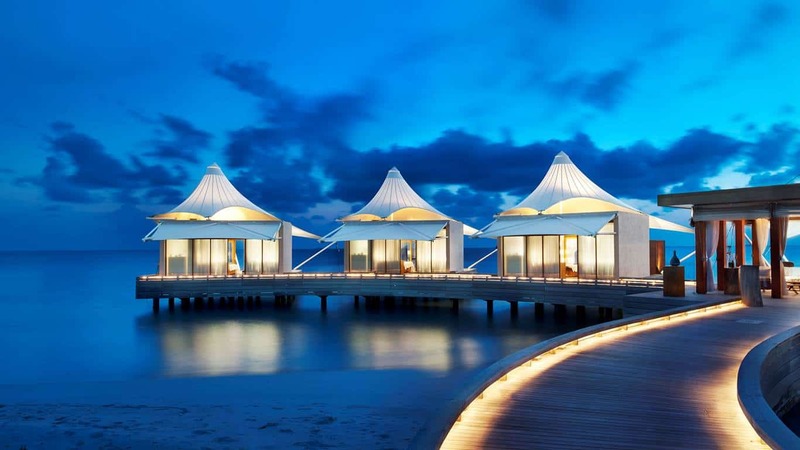 There is an electric mix of 6 bars and restaurants at W Maldives Retreat and Spa. Kitchen, the all-day dining bistro, and Fire, where you have a choice of 4 different barbeques, provide menus for everyone’s palate. Swim up to the pool bar Wet and order a light lunch. shooting star. There is even a dining option on your own secluded island, Gaathafushi. If you want to let your hair down then after dark visit 15 Below, the place to see and be seen. 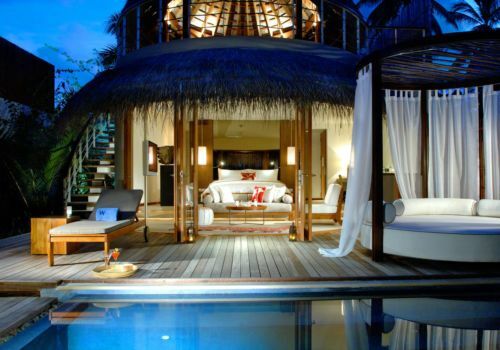 It is known as the only true nightclub in the Maldives, with its own resident DJ and set underground. Flirt with the adventure over the water with our adrenaline filled water sports or go underneath with DOWNUNDER, the PADI certified team of dive masters, and discover some of the best dive spots in the Maldives all within close proximity to the resort. Alternatively, unwind, destress and switch off. Escape and be pampered at the Away Spa. Reminiscent of a dhow, a traditional Maldivian boat sporting elegant forms and vibrant sails, the spa sends you on a journey of transformation. 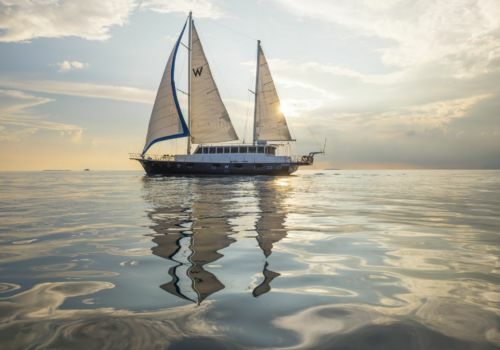 A massage, body wrap, sunburn soother, perhaps immersions in tropical therapies or individual cleansing steam baths, the world is your oyster as you indulge.